OneWalk: Daily encouragement and resources for OneWalk under the Sun, with the Son. 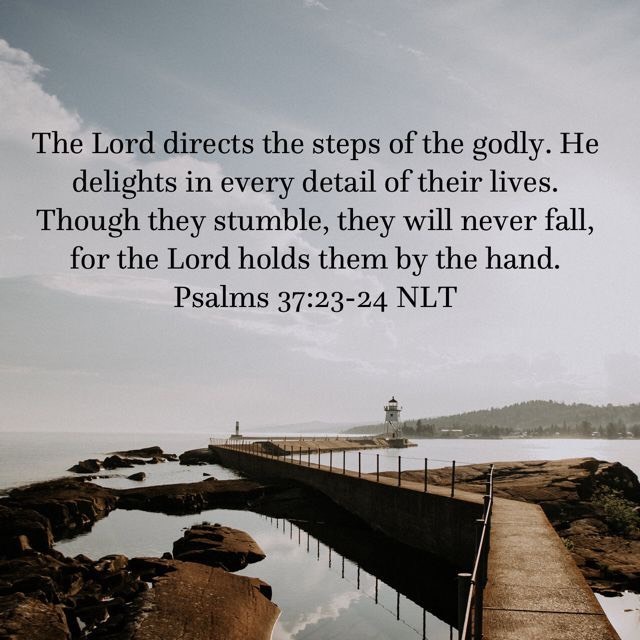 The LORD directs the steps of the godly. He delights in every detail of their lives. Though they stumble, they will never fall, for the LORD holds them by the hand. "For this is how God loved the world: He gave his one and only Son, so that everyone who believes in him will not perish but have eternal life.